OnePlus, who are masters in creating a much needed Hype and interest among the consumers for their smartphones before the launches, this time have come up with another innovative way to keep the buzz around before the launch of much awaited Flagship phone OnePlus 3 on June 15th. 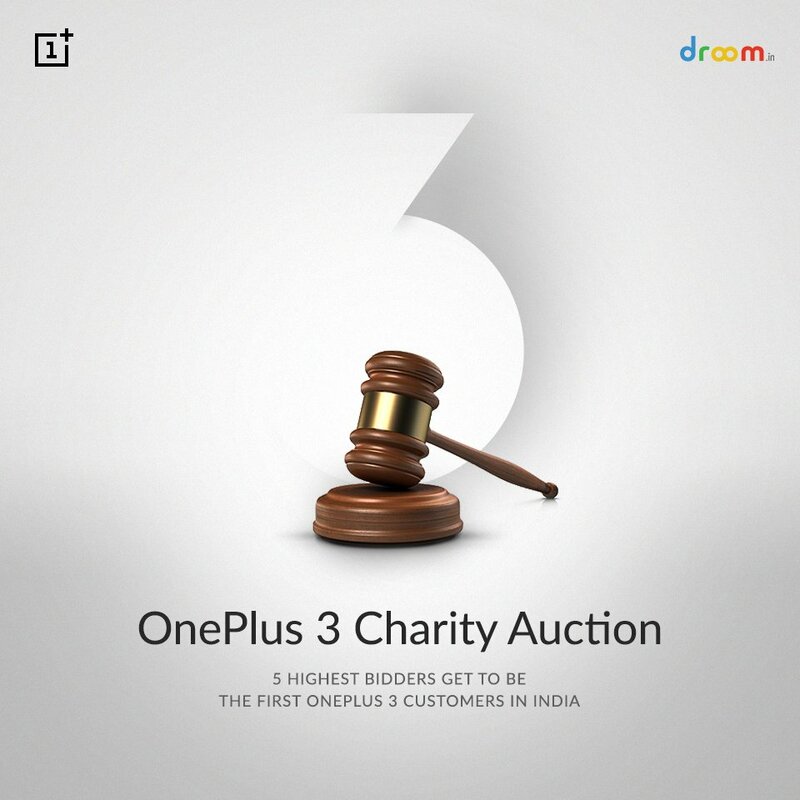 In this process, OnePlus has parterned with Droom who are the pioneer in online automobile marketplace is holding a first-of-its-kind smartphone auction of the First five OnePlus 3 smartphones in India and all the proceeds from that auction goes to charity chosen by the OnePlus community. reveal at the time of handing over the handsets to the winners.